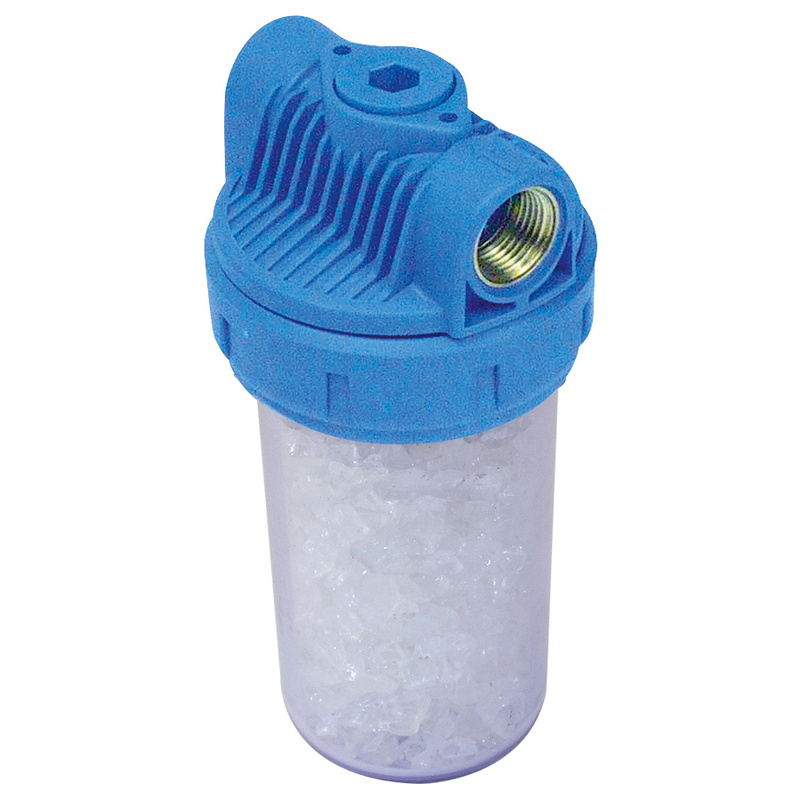 Protection filter for washing machines and dishwashers. Its action reduces the formation of scale in pipes and heating coils. Polyphosphate feeder for boilers.